The season is changing. We are moving into winter, a slow grey time of year. The trees are ready for the winter, their leave lie at their feet. 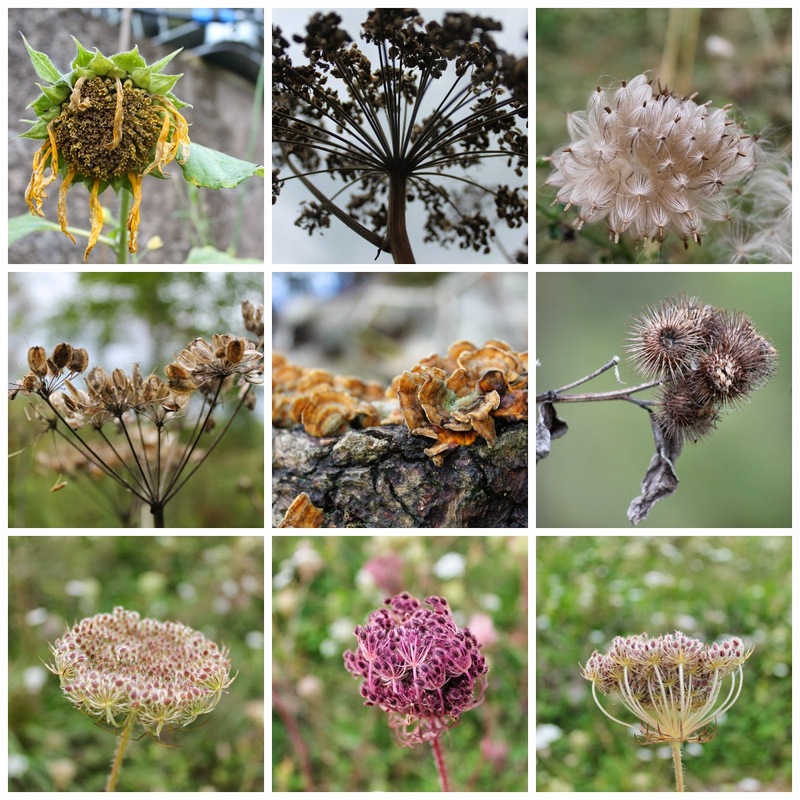 The seed heads of flowering plants remind us that there is new life ahead after this pause in the cold. Lovely photos. Have you also noticed that even as the leaves fall from the trees there are the beginnings of buds waiting for the spring to call them to open into new leaves - isn't it all wonderful?! Winter is definitely here, we had our first proper frost this morning and it's noticeably colder today. I brought home the sunflower seed heads from the allotment and hung them on the bird feeder, they're being devoured by all the grateful birds. We had a hard frost this morning too, not our first tho'! Your photos are so beautiful. I think you still have more color than I do here in the southwest of the US, but we have already had a few freezes, I think. I love the quiet, restfulness which falls over the earth at this time - such an antidote to the hustle and bustle of Christmas!